SUMMARY: The app is full of information and videos about galaxies. It covers a range of topics linked to galaxies including telescopes and black holes. It also provides activities and a quiz. 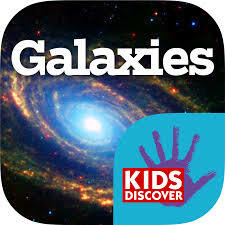 Children will enjoy browsing through the different categories and learning new facts about galaxies. TOP TIP: We suggest you use this app for fact finding, in a similar way that you would with a reference book or web page.